We now know that, dollar for dollar, large-stature trees deliver big savings and other benefits we can’t ignore. Small-stature trees like crape myrtle deliver far fewer benefits. In fact, research at The Center for Urban Forest Research shows that their benefits are up to eight times less. 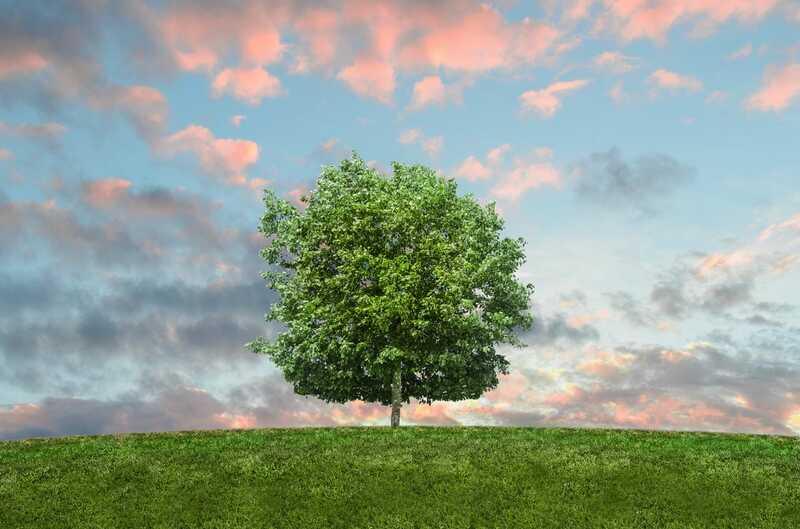 Compared to a small-stature tree, a strategically located large-stature tree has a bigger impact on conserving energy, mitigating an urban heat island, and cooling a parking lot. They do more to reduce stormwater run off; extend the life of streets; improve local air, soil and water quality; reduce atmospheric carbon dioxide; provide wildlife habitat; increase property values; enhance the attractiveness of a community; and promote human health and well being. And when we use large-stature trees, the bottom-line benefits are multiplied. When it comes to trees, size really does matter. We can’t forget the already- established trees. These older trees provide immediate benefits. The investment that community leaders made decades ago is producing dividends today. Dr. McPherson, Director of the Center for Urban Forest Research, points out that “since up-front costs to establish these large-stature trees have already been made, keeping these trees healthy and functional is one of the best investments communities can make.” A certified arborist, such as Peninsula Urban Forestry, can provide sound advice on large, well established trees, and how to preserve and conserve them through best management practices. What do you lose if you don’t plant large trees? Municipal tree programs are dependent on tax-payer supported funding. Therefore, communities must ask themselves, are large-statured trees worth the price to plant and care for? Research has shown that benefits of large-statured trees far out-weigh the costs of caring for them, sometimes as much as eight to one. The big question communities need to ask is: can we afford not to invest in our trees? Are we wiling to forego all of these benefits? Or, would we rather make a commitment to provide the best possible care and management of our tree resource and sustain these benefits for future generations. In most areas of the country, communities can care for their largest trees for as little as $13 per year, per tree. And, each tree returns and average of $65 in energy savings, cleaner air, better managed stormwater, extended life of streets, and higher property values. Even at maturity, small-stature trees do not come close to providing the same magnitude of benefits. Cities that are using small-stature trees to reduce costs may achieve some short-term savings, but over the long term, they have destined themselves to a future with fewer and fewer benefits as large-statured trees are replaced with smaller ones. Peninsula Urban Forestry can provide guidance and best management practices that you can rely on for critical decisions regarding the selection, preservation, and critical maintenance of large-statured trees, in hope that you will see the benefits far out-weigh the costs.